This weekend close to 9.4 million students will sit for China’s gaokao exam, the grueling (and intensively competitive) nation-wide exam that determines collage placement for China’s high school seniors. The two-day exam has become symbolic of the hyper-competitive nature of China’s education system. In honor of this weekend’s gaokao, Xinhua published a profile of Hengshui High School, where a grueling educational regime churns out top scores on the gaokao. According to Xinhua, seniors at Hengshui have almost every minute of their day carefully regimented, from 5:30 a.m. to 10:10 p.m.. Students have one day off every four weeks. The strict schedule has been effective at preparing students for the gaokao exam — Hengshui High School alone accounted for 80 percent of the students from Hebei province who enrolled in China’s top two universities, Tsinghua University and Peking University. As the Xinhua article pointed out, “super high schools” like Hengshui exist only because the gaokao does. Xiong Bingqi, the deputy-president of China’s 21st Century Education Research Institute, told Xinhua, “These ‘supreme schools’ are a direct result of China’s college entrance system, which is heavily exam-oriented.” The debate over the value of the gaokao has been gaining strength for years, fueled by horror stories like that of Liu Qing, who supposedly was not told for nearly two months that her father had died because her family worried the news would affect her test performance. Detractors of the gaokao believe the test not only encourages rote educational practices, but places an unhealthy amount of pressure on young students. Last year, at least four students committed suicide after doing poorly on the test. Some schools have adapted to the pressure of the gaokao by indulging in systemic cheating. Last year, after a crackdown on gaokao cheating in Hubei province, parents rioted outside the school. The parents claimed that cheating on the gaokao is simply a fact of life, and that their students was being unfairly disadvantaged by not being allowed to cheat. “We want fairness. There is no fairness if you do not let us cheat,” the protestors chanted. This year, the government has already warned that cheaters will be strictly punished. Aside from the debate on the effects of the gaokao system on individuals, there are also deeper societal concerns. For years, the children of migrant workers were not allowed to sit for the gaokao examination in their city of residence, because they did not have the proper hukou registration. Since 2012, Chinese cities have been slowly implementing legislation to change this. Xinhua reports that this year a record number of migrant children will sit for the exam, as 28 provinces or municipalities will allow them to take the test (Beijing was not one of them). Still, Xinhua estimates that 56,000 migrant children will sit for the test, only a tiny fraction of 9.4 million total test-takers. Legal residents of large metropolitan areas fought jealously to exclude migrant children from the gaokao, precisely because taking the test in these areas is a huge advantage. Students who sit for the exam in Beijing can get into prestigious Beijing universities with a lower score — and legal residents are not keen to share this privilege with migrants. Concerns over the gaokao touch on a number of hot-button issues in Chinese society: questions of privilege, especially the rural/urban divide, questions of corruption (in this case, cheating), and even the central question of how to best educate future Chinese citizens. Meanwhile, for the high school students sitting for the exam Saturday and Sunday, the gaokao has a simpler (but no less important) meaning. 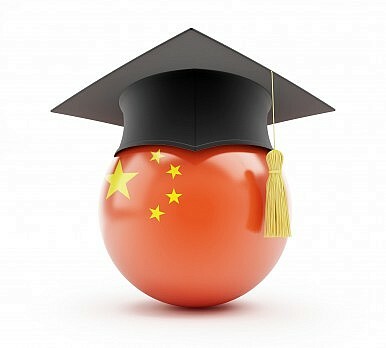 Do well, and get into the school of your dreams, which will give you a boost in China’s tough job market. Do poorly and, for many, it’s hard to shake the feeling that life is over.